Trial reports and trial request forms for 2019 are available on the new website. 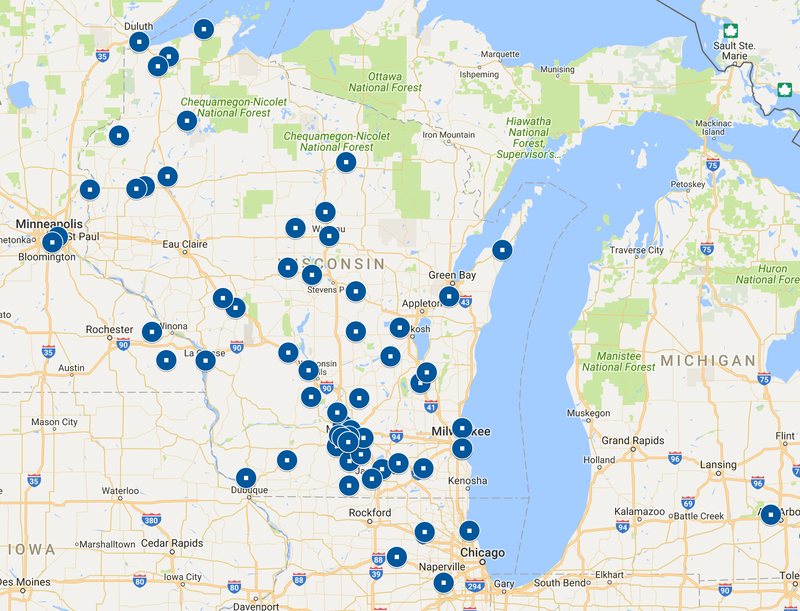 The Seed to Kitchen Collaborative connects plant breeders focused on organic systems to Wisconsin farmers and chefs, to create delicious, well-adapted vegetable varieties for local organic production. 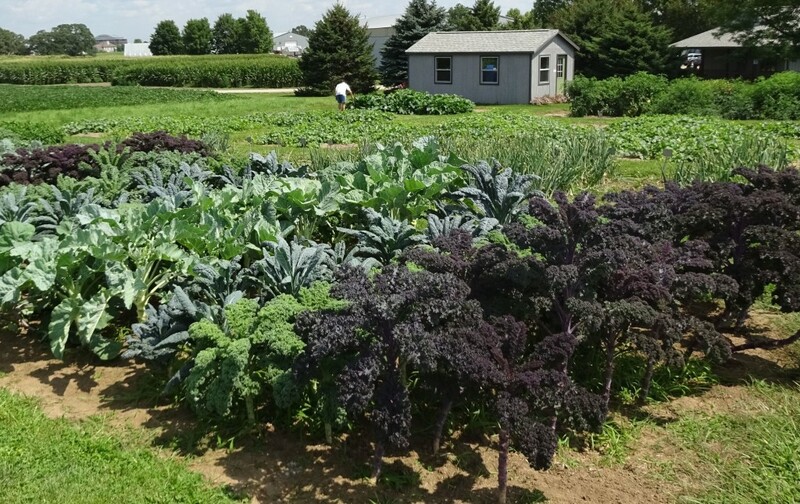 This collaboration presents a unique opportunity to focus on vegetable variety characteristics important to local food systems, such as flavor, fresh-market quality and agronomic performance on smaller-scale diversified farms. Promote informal collaborations between breeders, farmers and chefs to improve selection for flavor and direct market quality. Evaluate new and soon-to-be-released varieties for culinary traits in restaurants with participating chefs and for agronomic performance on direct-market farms. Develop better methods of evaluating and selecting for flavor and culinary quality. Over 20 seed companies, universities and independent plant breeders contribute varieties and breeding material to our trials. Over 60 farmers grow subsets of these varieties, evaluate them for desirable traits, and provide feedback to the breeders. 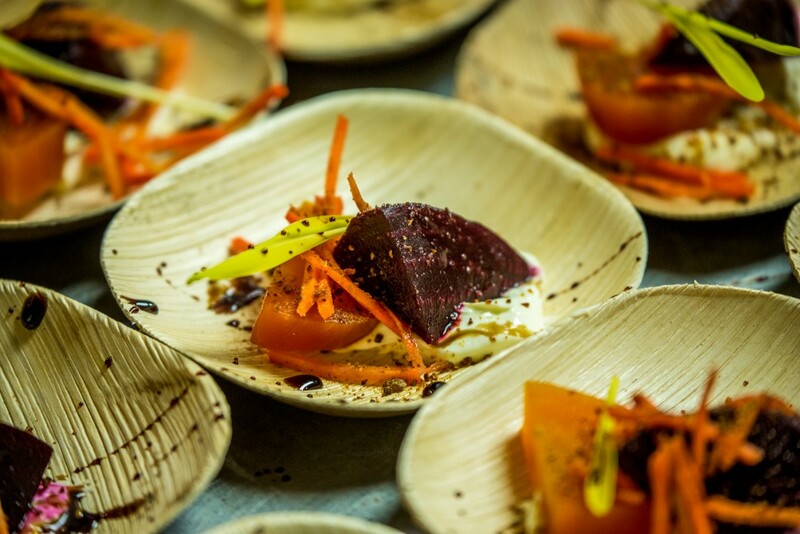 Every month from June through January, Madison chefs gather to taste produce from our variety trials, creating detailed descriptions of flavor, texture, over-all eating quality, and their personal preferences. That information goes out to participating plant breeders around the country, and farmers across the Upper Midwest, to help each group decide which varieties to improve, market, or experiment with. 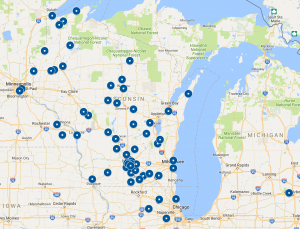 Wisconsin is lucky to have many active vegetable breeding programs at UW Madison, as well as a strong local foods movement supported by excellent farmers and chefs. The state is also the #2 state in the country for the total number of organic farms and for the number of organic vegetable farms. There is increasing involvement of farmers, non-profit associations and seed companies selecting for traits important to organic and direct market farmers. Flavor and direct-market quality traits are difficult to measure in plant breeding programs. In addition, flavor has often not been a priority because of the importance of traits such as shelf life and tolerance to shipping in long-distance food systems. By working directly with chefs and farmers to develop evaluation methods for flavor, we hope to improve our ability to select high quality vegetable varieties for farmers, gardeners and consumers. We also need your help in our research on evaluating vegetable flavor through taste tests at our field days. Every year we host a Farm to Flavor tasting event, open to the public, to celebrate the achievements of the season. Over 300 people attended our annual Farm to Flavor Dinner on September 26, 2018. The dinner is a celebration of organic plant breeding and local food, featuring dishes from several of Madison’s premier chefs. Check back here in July of 2019 for information on Farm to Flavor 2019! Bomberg, Justin. Seed to Kitchen Initiative. Farm to Flavor dinner showcases vegetables bred for flavor. Eric Hamilton. Erik Ness. Breeding For Flavor. Grow Magazine. College of Agriculture and Life Sciences. Check out this article in the Wisconsin State Journal about the project: Chefs, Farmers and UW Scientists team up for flavorful produce. Nico Savidge. December 6, 2015. Based on farmer priorities, we are trialing beets, carrots, cucumber, kale, greens, melons, onions, peppers (sweet and hot), winter squash, potatoes and tomatoes (high tunnel and field grown). The trials are set up to be flexible – all varieties are grown at the research station each year, and farms take subsets of these trials. Each farm chooses which crop(s) they are most interested in. We develop a list of 4-5 “core” varieties for each crop, which are included on each farm growing that crop, and farmers can also choose from a list of additional varieties if they would like more varieties in their trial. We send each farm all the seeds they need for their trial as well as stakes, a planting map and datasheets. Farmers manage the trial as they would manage their normal crop. The research station trials are managed organically, and while we prefer that farmers manage their trial without pesticides so that we get good observations on disease resistance, there is no requirement for participants to be certified organic. We are working with a lot of the vegetable breeding programs at UW Madison who are developing varieties for organic agriculture, as well as Cornell University, Oregon State University and some seed company breeders focused on market growers – Johnny’s Selected Seeds, High Mowing Organic Seeds, Vitalis, Bejo, Wild Garden Seeds, Adaptive Seeds, Hudson Valley Seed Library and other independent breeders. The goal is to give you a chance to try out some new and soon-to-be released varieties and to hear what other farmers think of them, as well as what chefs and consumers think of the quality. 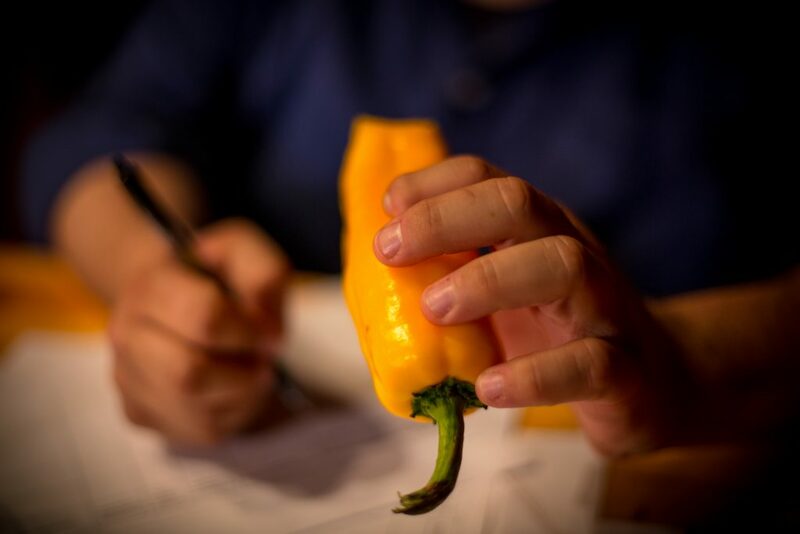 We evaluate all varieties on the research station here in Madison, including more quantitative traits like yield, and we conduct flavor evaluations on the varieties from the Madison trials with members of the public and local chefs. Would you grow this again? Many thanks to all the students who have worked on this project and to the West Madison Garden Interns! Funding for this project provided by the UW-Madison, USDA-Hatch, USDA-North Central SARE and the Ceres Trust.